i made a pot of vegetable lentil soup over the weekend for lunch and i was looking for something to serve along side the soup. we didn't have any bread in the house, and i didn't have enough time to make a loaf, so i decided to make a batch of savory scones. 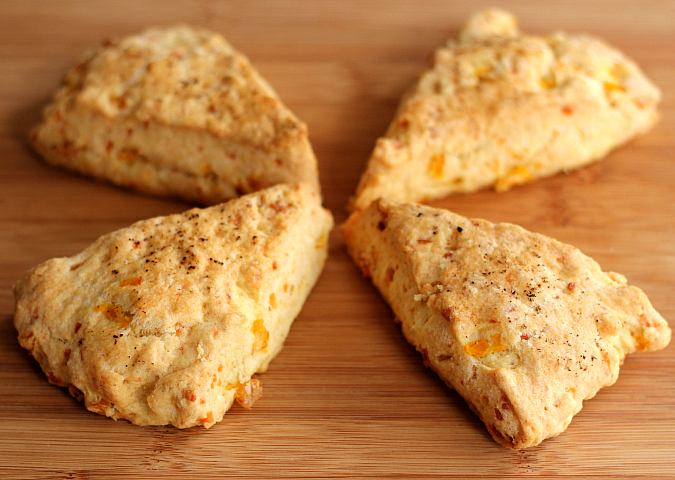 these scones came together in no time. they are crusty on the outside while being light and fluffy on the inside. they have a great flavor thanks to the sharp cheddar cheese and corn in them. they were a perfect compliment to our soup on a cold winter day. preheat your oven to 400 degrees F. combine the flour, cornmeal, and baking powder in a large bowl. dice the butter into small cubes and add to the flour mixture. use a pastry cutter to cut the butter into the flour mixture until the butter is in pea-sized pieces. use a spatula to mix in the buttermilk and the beaten egg. fold in the cheese and the corn. dump the dough out onto a well-floured surface and knead for 1 minute until it is all combined and the cheese and corn are well distributed. roll the dough out into a disk (about 3/4 inch thick) and cut into eight even triangles with a pizza cutter or a sharp knife. 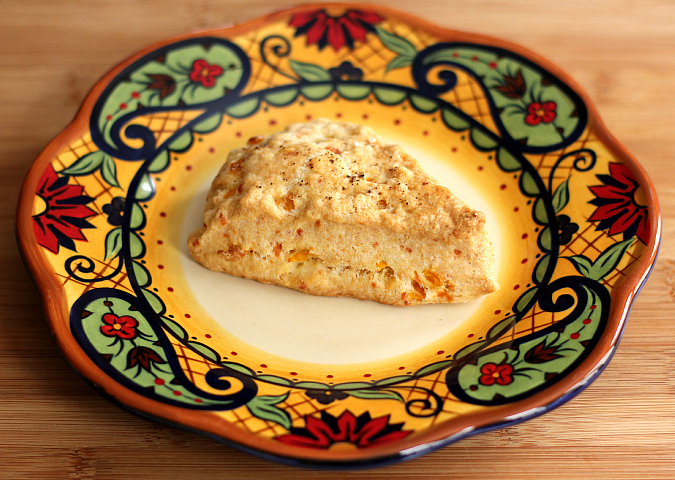 place the scones on a baking sheet lined with parchment paper. lightly brush the tops with an egg wash and sprinkle salt and freshly ground black pepper on top. bake for 20-25 minutes, until the outsides are crusty and the insides are light and fluffy. 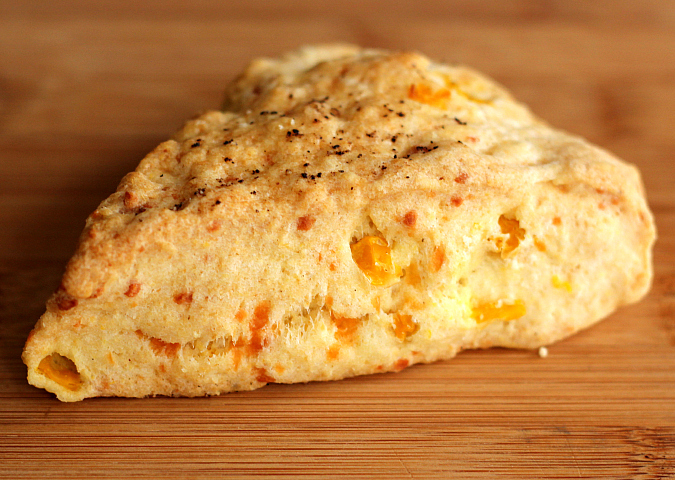 I love corn muffins with corn in them, I bet I would really like these scones. Definitely will give it a try.